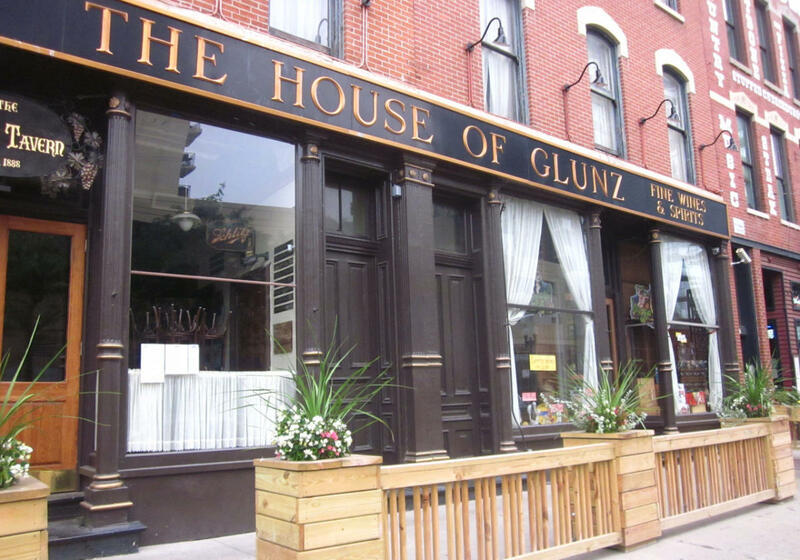 The House of Glunz is Chicago's oldest wine merchant and is still family owned and operated ... a family legacy celebrating 120 years. In 1888, Great-grandfather Louis Glunz arrived from Westphalia, Germany and opened this fine shop. We invite you to visit our original, now historic shop ... exquisite stained glass panels and artistic pieces abound. Artifacts relating our company's history are on display recalling the days when fortified wines came from Spain and Portugal in cask to be aged and bottled in our cellar. Louis Glunz became the first Schlitz distributor and also offered dozens of private label, aged Kentucky Bourbons. The Museum Room exhibits an extensive collection of fine wine goblets by artisans of many countries, and selections from our rare wine cellar can be viewed in the Old World Tasting Room, with many more available on request. Today, The House of Glunz continues to offer a thoughtful selection of the finest wines and spirits of the world. Five generations have continued the family tradition, serving the wine appreciators of Chicago in the tradition of knowledgeable and personal service.